Chesapeake Veterinary Referral Center (CVRC) is a specialty veterinary practice with multiple locations throughout Maryland. While conventional veterinary centers function as primary medical care for animals and refer patients to outside specialists for treatment, CVRC’s medical experts facilitate all types of pet care under one roof. That means if a pet has a medical condition that requires a specialist, owners no longer have to cart their pets around to multiple locations and transfer paperwork – CVRC specialists are located in the same building, working side by side to create an overall snapshot of that pet’s health. 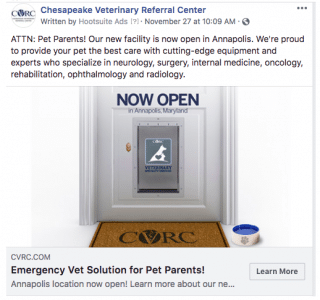 When CVRC approached us to assist in the promotion of a grand re-opening of their Annapolis location, we knew that we would need to create new facility messaging while simultaneously positioning CVRC within the pet care industry. Due to the unique specialty services model, consumers had a low level of brand awareness that needed to be addressed head on. The target audience for this campaign was pet owners who live within 20-30 miles of the new Annapolis CVRC location. These “pet parents” are willing to put in more money and effort than simply visiting a traditional veterinary office in order to receive specialty care and treatment for their pets. The most cost-effective and highly targeted option was an integrated campaign consisting of radio, digital and Facebook ads, as well as an open house event for the press. Since pet owners have to be referred to CVRC by a primary veterinarian, our goal was to generate awareness of the practice to them. All of our messaging on these platforms positioned CVRC as an emergency and veterinary specialty facility whose experts facilitate all types of care under one roof and promoted the opening of their new, expanded facility in Annapolis. 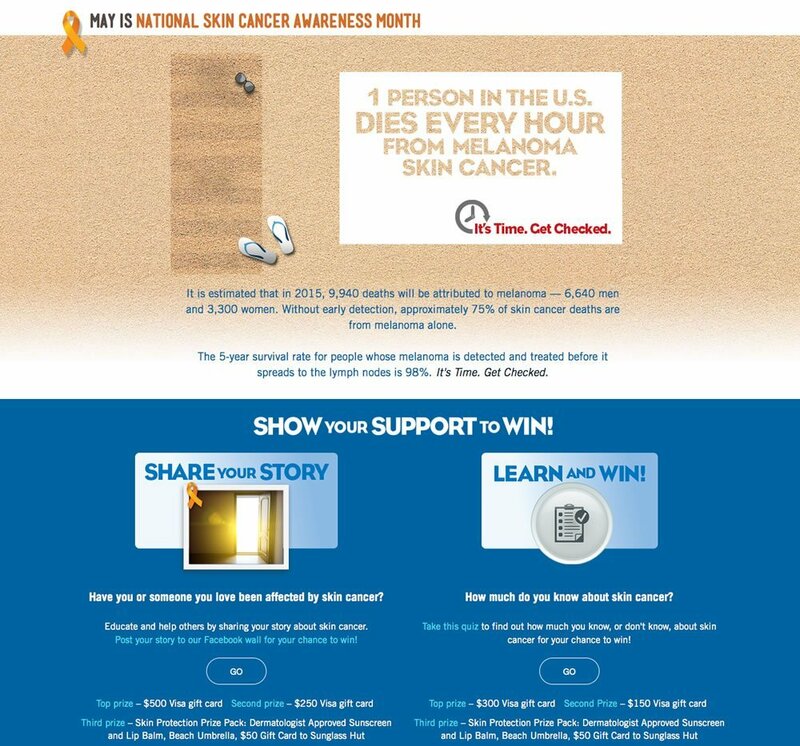 The 6-week radio campaign combined with digital display ads garnered over 300,000 impressions, with Facebook contributing another 151,124 impressions during this time. Our open house gained a lot of attention, and included facility tours, equipment demonstrations and a ribbon cutting from the First Lady of Maryland. As a result, the potential circulation from public relations pickups in print and online were over 13,102,682!